Thrive is an innovative best responsive WordPress Theme designed to cater company portals, organizational websites, company intranet and extranets. 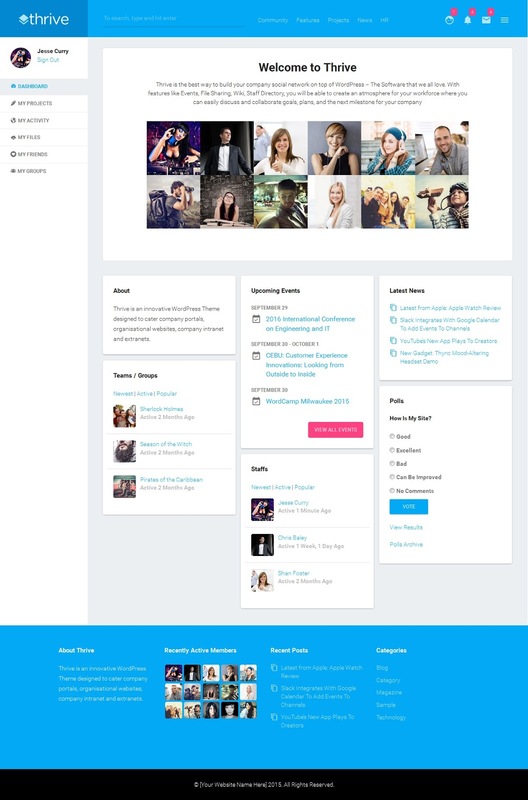 Thrive helps you build a WordPress based intranet for your company so that your staffs and members can easily share information, files, events, docs, resources, etc. Thrive is a live and breathing project, which means it is continually being improved and develop to further enhance and refine its features. Thrive can also be used to facilitate group projects, reports, and activities. 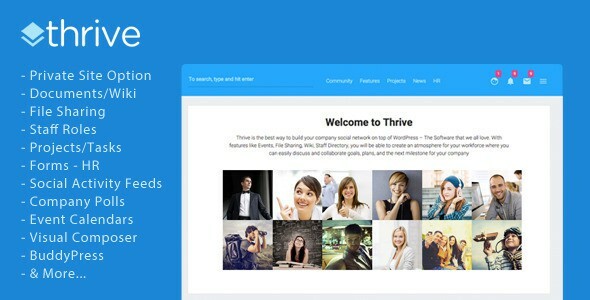 Item Reviewed: Thrive Intranet & Community WordPress Theme 9 out of 10 based on 10 ratings. 9 user reviews.